DLP had a film crew at Lucas Oil Stadium in Indianapolis capturing footage of the NFL Combine for Game Changers (link to previous post about the series), an NFL Network series we're producing. Game Changers will feature Coach Steve Mariucci and other NFL legends like Deion Sanders, Kurt Warner, Michael Irvin, Warren Sapp, Rod Woodson, and Willie McGinest working with top NFL prospects and breaking down where they stand going into the 2013 NFL Draft. 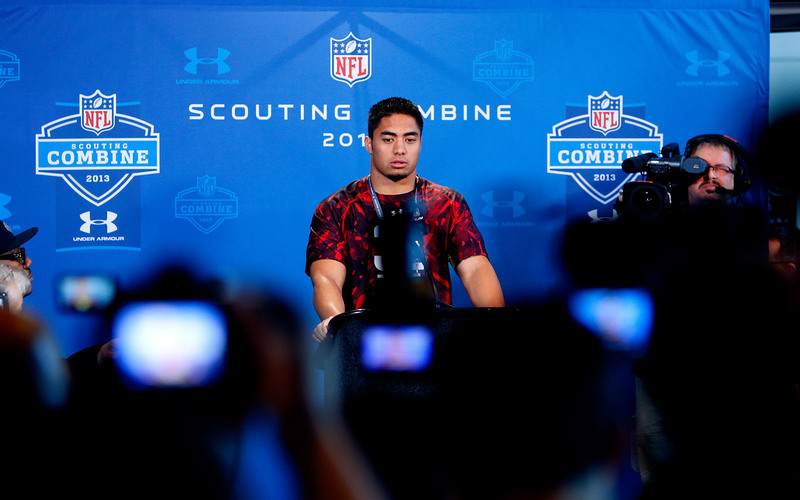 Among the crop of next season's NFL rookies that are expected to be featured in the series are Manti Te'o (pictured above), Matt Barkley (pictured below), and Tyrann Mathieu aka The Honey Badger (also pictured below). 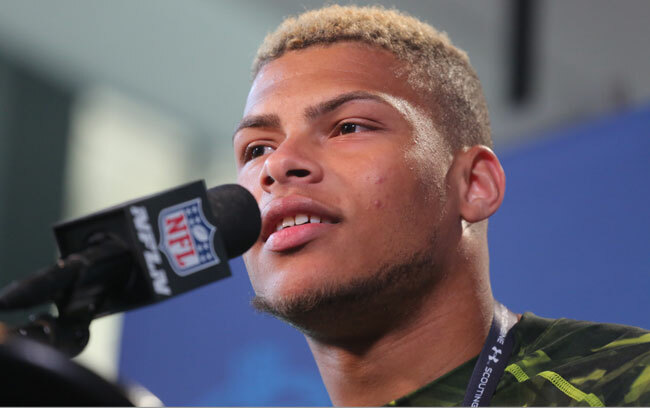 In addition to shooting in Indianaoplis, physical production will continue in Florida and Southern California as we traverse the country to shoot with some of the biggest names in this year's NFL Draft class. New episodes of Game Changers will air during the weeks leading up to the 2013 NFL Draft. Look for the new season on Tuesday nights at 8 pm Eastern on the NFL Network starting March 26. 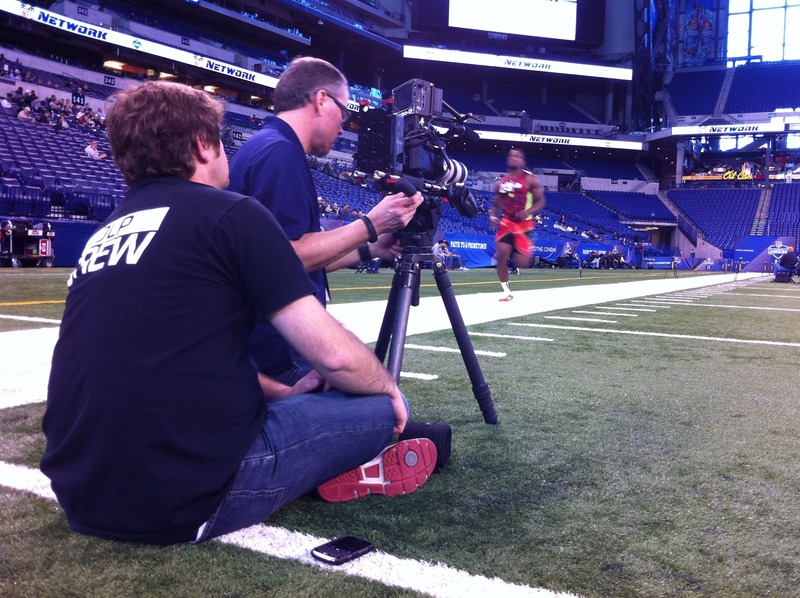 Adam Goldberg (DLP CREW shirt) and Kaline Schounce on camera at the 2013 NFL Combine.